Google Chromebooks were coded with data security in mind. So, its time to see that how does the security of Chromebook works for the customers! One of the most common questions on social media regarding Chromebooks is – How much security does it provide? If you are an IT engineer or a cloud data security expert, you might get an answer to this question in a simple line i.e., Chromebooks are secure. We believe that it will be good for online service users to be known from the things going on in their surroundings. And undoubtedly, cloud data security is a major aspect in this list of things. It is of full worth to be known from at least basic measures, even if clients are not interested in learning about entire nuts and bolts. So, take out time of around 10 minutes to read this post and learn how the security of Chromebook works. Automatic Updation of Application – When a Chromebook is opened with availability of internet connection in it, the smart security system starts checking whether any update is present or not. If yes, it automatically begins downloading the data of the latest edition. The changes in the updated version of services or apps will appear when client will open Chromebook on the next time. This feature for the security of Chromebook is highly appreciable because it does not require the role of human beings to update apps. Whenever an update is required, automatically the downloading of new directory files takes place. Make Use of Sandboxing Technology – The browsers of Google Chromebook was developed in a way that each tab works in an independent manner. It is being observed that malware in computer systems spread rapidly into all the present programs, even if the virus occurs on one tab. 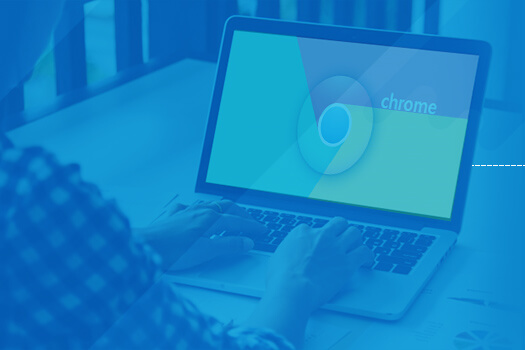 Therefore, the Chromebook Security team designed its product in a way that each tab (named as Render) has its independent code with all basic requirements. This will prevent the spreading of malware or unauthorized access on any other files, even if browser-based threat occurs on a tab. Apart from this, the information transmitted outside the web browser has to go through a tool named as Minijail. This tool ensures that the Google Chromebook is sending only the requested content, nothing more than that. Restrict The Boosting of Infected System – This is another measure for the security of Chromebooks in which Chrome uses ‘Verified Boot’ system. It ensures customers that the system documents have not been tampered by any individual. When the power of Chromebook is on, it scans the entire system for matching the Chromebook system files with last updated ones. If an exact match takes place, there is no problem in the machine. If an exact match is not there, immediately the recovery mode gets activated. This means that if an individual tries to write a malware code, which targets Chrome then, you stumble across it. Fortunately, you can get out of the sandbox it comprises and the malicious code will be thrown out of the system with the bathwater. Offers Simple Proceedings to Erase and Recover – When it is about local security the layered approach of Chromebooks makes it tough for attackers to attempt threat on it. Luckily, if in case an attacker succeeds in fulfilling his intentions, then, first of all, don’t panic and keep your mind in a charming state. Simply you have to fix the problem by instantly removing all the things from Chromebook and then, start from new. All things mean all things because the storage on its own is removed, giving rise to a new version of Chrome. A simple combination of key will reboot into the recovery mode where simple guidelines are availed to assist customers with the method to erase and restore everything. This Chromebook security feature enables customers to fight against the threat without any fear of data loss. Being the cloud service provider, Google is trying its best in offering account security and cloud storage advantages. When it comes to Chromebook, the provider goes out-of-the-box and works hard to protect the data. Now its responsibility of enterprises to achieve security of Chromebook either on their own or adopting security-as-a-service providers. Rest, Chromebook is a secure platform to work with, and you can rely on it without taking the stress of data loss incidences.